Climbing up to the "death zone" is perilous business. Scaling mountains to the heights where planes fly and where there's little oxygen can trigger extreme responses. 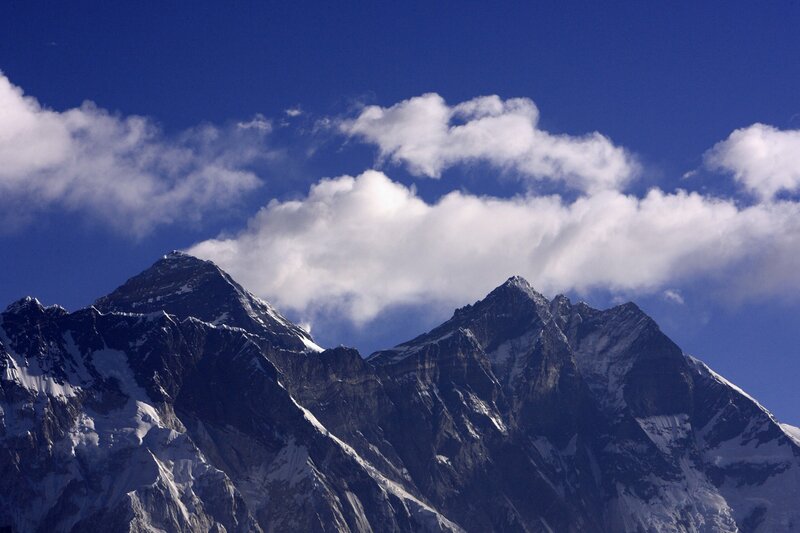 One man who climbed Everest recounts how, thousands of feet aboveground, another climber named “Jimmy” appeared out of the darkness, said “hello,” and climbed behind him before disappearing. There is no shortage of personal accounts of mountain climbers, alone at high altitudes, losing their grip on reality. Now, doctors are taking a closer look at these stories. A team led by Dr. Katharina Hüfner, composed of researchers from Eurac Research and the Medical University of Innsbruck, studied the accounts of climbers at altitudes over two miles to understand what was happening to them. And, her team writes, she believes they may be experiencing a particular kind of psychosis. The results were published in Psychological Medicine earlier this month. Looking over 83 accounts of climbers at high altitude, the researchers found 41 who describe psychosis, a lost grip on reality. They found a smaller number who described symptoms of psychosis and no other illness. In that smaller group, these episodes mostly lasted several hours, while some went on for several days. These climbers described trouble seeing, hearing and speaking as well hallucinating sights and sounds. They also were more likely to write about people like Jimmy appearing out of nowhere on the side of the mountain. 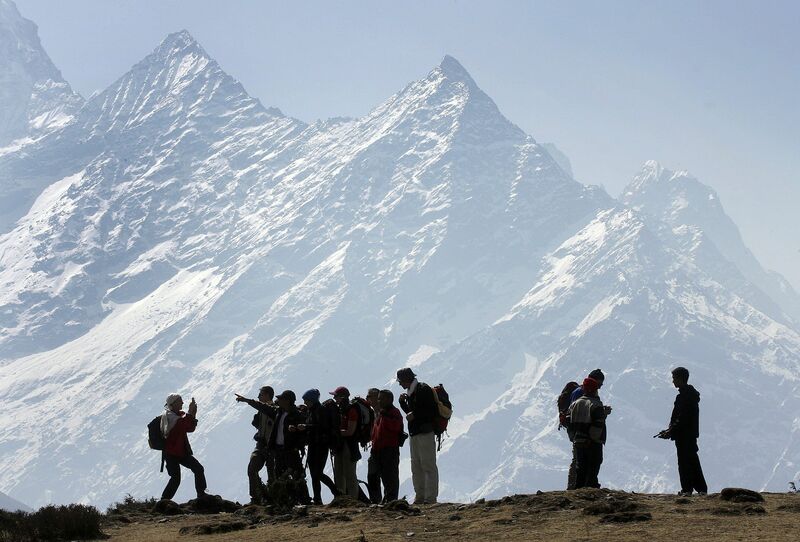 The big finding, the researchers write, is that among the 83 accounts they looked at, they found 23 who were experiencing psychosis without experiencing acute mountain sickness or high-altitude cerebral edema, two conditions that can affect climbers’ mental states. The question becomes: why is this happening? Corlett speculates that lack of oxygen, which can have consequences for brain metabolism, might have something to do with it. But whether that’s really the same thing as psychosis, the detachment from reality sometimes experienced by people with schizophrenia and sometimes people with mood disorders, is an open question. Dr. Ann Shinn, who specializes in psychosis at McLean hospital and who was not involved with the study, wrote that the ideal way to study something like this would be to examine a large group of people and assess their health before and after they go mountain climbing, rather than relying on their own reports after the fact. As for using written accounts found on Amazon's website of climbers' own experiences, Corlett adds that his group has used similar methods in studying the experiences of people with psychosis. And the authors of the study write that looking at only these accounts may have biased their results. They were only able to look at the accounts of people who survived the punishing altitudes, and the ratings that researchers gave different accounts weren’t always consistent. Still, the researchers write, high altitude psychosis should be considered a “distinct and separate” condition, to be better studied to better help and treat people exposed to high altitudes. This research, Hüfner claims in a press release, could also help doctors better understand schizophrenia. She sees it as a matter of practical safety, as well: "There are probably unknown numbers of unreported accidents and deaths caused by psychoses," she said. "It is of the greatest importance to disseminate cognitive coping strategies which the mountaineers themselves, or with the help of their partners, can apply directly whilst on the mountain."